This weekend we spent getting a behind the scenes look at how the Verizon IndyCar Series is incorporating more technology into its races to make the experience better for drivers, teams and fans. 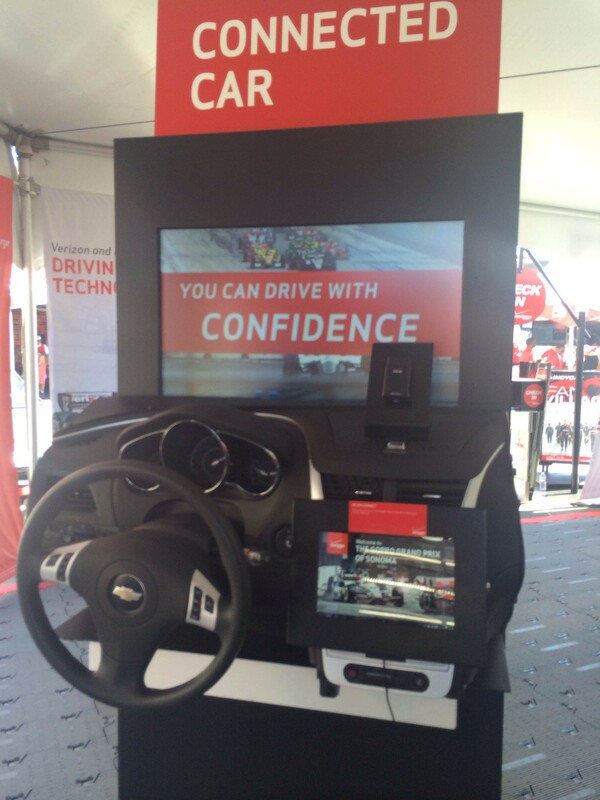 Silicon Valley sits only a few miles away from the Infineon raceway in Sonoma so it was fitting that IndyCar invited us to check out the new tech they’ve got in their coms, cars and steering wheels at the 2014 GoPro Grand Pix at the Sonoma track. We started off the day heading up to IndyCar’s coms room where besides getting a beautiful birds-eye view of the track and pits we interviewed IndyCar’s lead in-house engineer Jon Koskey, Director or Timing and Innovation. Koskey gave us a brilliant video interview (coming soon) on how they’ve developed a new piece of hardware that sits in the racing cars sending timing and scoring observation data directly back to the Indy team who use it to make better decisions over scoring and disputes. 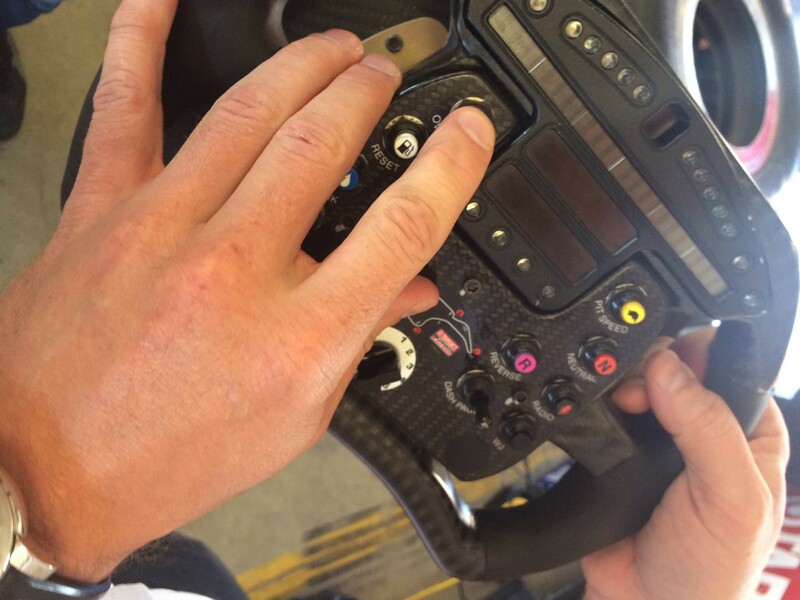 They’ve also this year installed a new High Definition play back set-up automatically tagged with metadata, developed in house by their 45 person team at the Indy HQ in Indiana, replacing the standard definition system used before which makes it quicker for race officials to bring up a dispute. Next up we interviewed Jace Sanders, Senior Application developer at Cosworth (video coming soon), a name synonymous with racing car engines. Cosworth is equally famous in the foundry business for its development of counter-gravity pouring of aluminium and zircon sand moulds. Cosworth Technology Ltd is now owned by AUDI AG and Cti continues to assist the company with its ongoing development and also helped the Verizon IndyCar series launch its new transmitter and app that sends driver data not only directly back to the teams but also to the Verizon IndyCar iPhone and Android app to give fans a better racing experience by providing fans with a real-time leader-board, live driver-pit crew chatter, live radio broadcast and live race control, data that comes directly from the car. The app basically gives fans an insiders IndyCar experience that enables you to feel like you’re in the coms room. Of course Sanders was quick to point out they vet some of the data before giving it to fans! We then moved over to Target Chip Ganassi’s Racing Team where Brad Goldberg, the lead engineer No. 83 Chip Ganassi told us about some of the new technology they have in their $1million cars including a steering wheel that monitors insulin levels for one of their drivers who suffers from diabetes and relives him with sugar-water if levels get too low. (Video coming soon). We asked driver J.P Montoya if he would use technology like Skully’s Smart Helmets which TechDrive reported on earlier this week implements a Google Glass like virtual-reality data over real-world driving situations to help drivers make more informed decisions – you can check out our video coming soon to see his somewhat surprising answer. And lastly it’s not just the drivers and team IndyCar who have made technological updates to their cars and communications, the series head sponsor Verizon is heavily investing in the connected car and connected home space and has launched a number of apps where you can control your car and home heating NEST, for example, via your smartphone. Verizon is also this year delivering LTE multicast over commercial 4G LTE network giving teams an in car camera and field experience like no other. 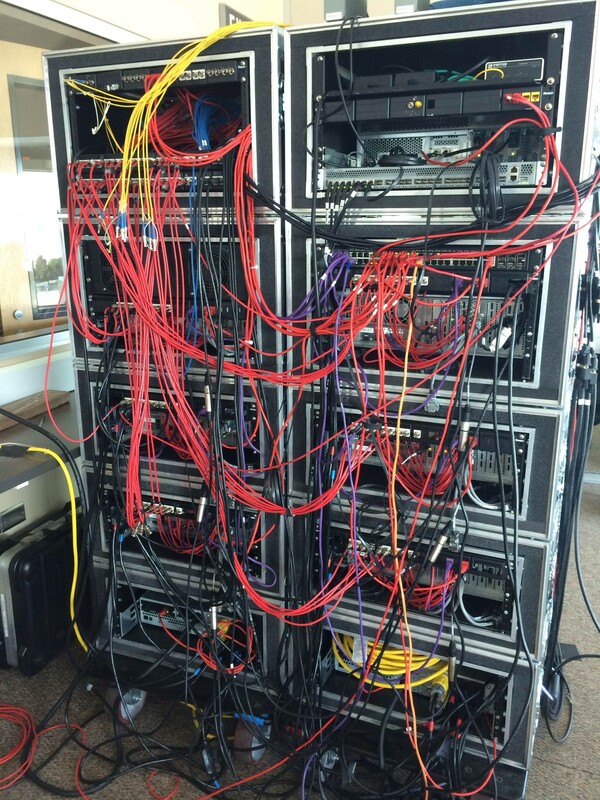 Verizon’s technology surrounding the IndyCar Series and its premier race create a perfect backdrop to demonstrate the power and value of LTE Multicast from Verizon. With a series of cameras deployed trackside to capture the cars as they travel around the Oval, combined with in-car cameras for unparalleled driver perspectives, the content delivered over LTE Multicast gives IndyCar teams using the Team App pictures and angles in real time they may not have seen before. And, in a sport that relies on technology and split-second decision-making as much as IndyCar does, each nugget of information can mean the difference between Victory Lane and coming in second.